Ever since I was lucky enough to go to Russia on a school trip (back in the days where travelling there was cheaper than buying a return train ticket to London, and vodka was 50p a bottle – dangerous territory for a group of 16-year-olds…), I’ve had a soft spot for fat, friendly-looking Russian dolls. 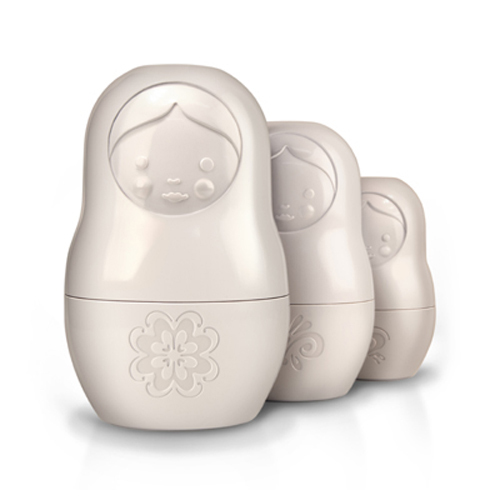 so, when I heard a dance troupe of Russian grannies, called The Babuskas was vying to be Russia’s Eurovision entry this year, I thought I’d cheer them on by showing you all three of the cutest Babuska-themed goodies going. Pictured from the top are: the brilliantly-named Babuskcups, £11.25 for three, http://www.flamingogifts.co.uk/; Little Women mug, £12, http://www.notonthehighstreet.com/; and Matryoshka measuring cups, £9.95, from http://www.cubicuk.com/ – perfect for recipes that involve American ‘cup’ measures. Previous Post Cup a load of these!